"It's very nice to score against them, but I'm just happy to get the win and show that we can compete against the top teams in the league," Michael Ryder said this the last time he faced the Bruins on December 31st 2011. Ryder scored a power play goal in the 4-2 win over the Bruins. But now Michael Ryder is on a new team. The most hated team in Boston. The team the Bruins will go up against tonight. The Montreal Canadiens. The Canadiens are 13-4-4 and are tied with the Bruins at 30 points a top the division. The Canadiens are bouncing off an awful season in which they went 31-35-16, fired their head coach, and traded Mike Camelleri. 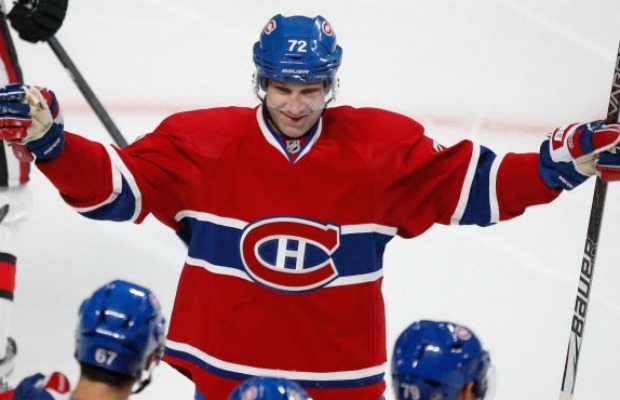 A Big part of the Canadiens resurgence jsut a season later is thanks to having all guns blazing from the blue line. PK Subban, Andrei Markov, and Rapheal Diaz have a combined 10 goals and 26 assists. And ofcourse it always helps to have a great goal tender like Carey Price in net. Price has a 2.20 goals against average and is 11-3. 1) Prust to Dust. In the offseason the Montreal Canadiens traded for Brandon Prust. Prust last year led the NHL in fights with the New York Rangers. The Canadiens got him for the sole purpose of the Bruins much like the Scott and Ott aquisitions for Buffalo. Showing that one player can't match the entire Bruins mentality will go a long way in making sure the Bruins are more physical than the Canadiens. Thornton was a healthy scrath yesterday and hasn't fought since his concussion. Perhaps tonight is the night he tests the waters again. 2) Hate. This game, like every Montreal vs Bruins game, has a lot of hate. 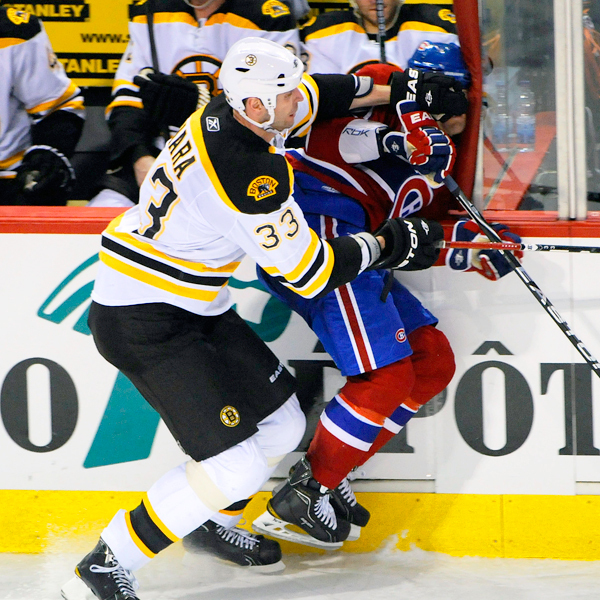 None more hated than Zdeno Chara for his hit on Pacioretty. Milan Lucic has seemed to have lost his cool quite a bit recently though. While that isnt a bad thing, stupid penalties sure are. Especially if its against a team like the Canadiens who capatilize on PP oppurtunities. Lets just hope the referees arnt so awful this time. No need for many bad calls resulting in even worse make up calls.